The group picture was taken in the Immaculata de Panne on Wednesday. 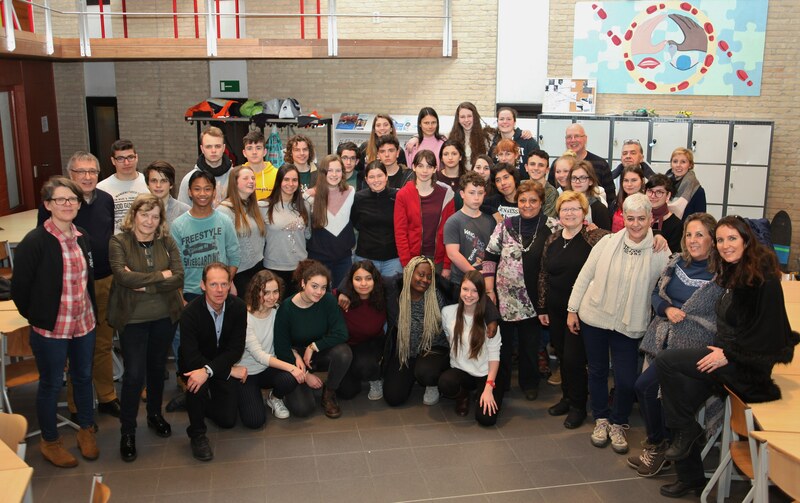 The fifth and last meeting of all schools in the project took place in de Panne from the 18th to the 24thof February 2018. French and German students wrote reports about the visit in de Panne. We saw a lot of interesting presentation about sustainable housing and other subjects here. A French teacher made a collection of pictures and videos and put it into a youtube video here. French students give some tips for sustainable living on youtube here. French students also wrote their last journal about the project here. Italian students wrote a diary about all visits during the project here. Students fight for sustainability here. The art profile at the school were so motivated by the denim workshop that they had an upcycling project semester. Here they had to upcycle clothes (they couldn't buy anything) AND they had to incorporate denim in some innovative way into their outfits. This fantastic, successful project was immortalised when a small team of students went around and got sponsorship (donations) to be able to print the fashion book 60 times! These books have been passed around and some now live in the school's library! well done 13K! This is entrepreneurship at its best :-)here. A German student gave an interview about sustainability on the youtube channel here. 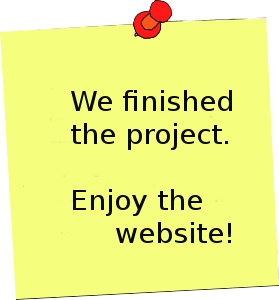 Check out our eTwinning link. eTwinning is used by both students and teachers to accumulate all campaigns, surveys, questionnaires, diaries, videos, conferences, interviews etc! This is the platform all five countries have used use in order to to communicate to each other & the public. 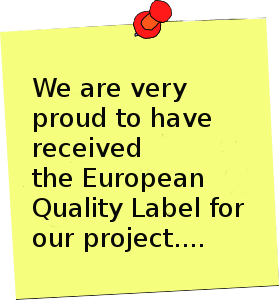 The European Quality Label for Belgium, France, Spain and Germany.